From the day he arrived it was obvious that Steven Gerrard was going to bring good times back to Rangers Football Club. Over the last few months, that’s exactly what he’s done. From the thousands turning out to greet him at Ibrox and his first press conference to immediately strengthening the squad with excellent signings to qualifying for the UEFA Europa League group stages, he’s ushered in a new era that demands more from the club. The Liverpool icon has never settled for second best and he’s brought that determination to Glasgow. He offers the Light Blues a badly needed ambition that has lain dormant for too long now. He may well be the first credible challenger to Celtic in nearly a decade. However, much of the optimism and progress so far will mean little if they again capitulate to a weakened Hoops side at Celtic Park on Sunday. With transfer drama and European exits dominating headlines across the city, Brendan Rodgers and his squad are vulnerable for the first time since he arrived in Glasgow. Everyone knows this; Rangers, pundits, fans and even Celtic themselves. The great strides that this Rangers team have taken compared to last season’s side is in defence. They’ve gone from a team that conceded more goals than any other side in the top six of the Scottish Premiership last season to one that on Thursday, managed to keep a Russian Premier League side at bay with nine-men available. This new defensive solidity has come at a cost. Millions of pounds have been spent on the fourteen summer signings that have been made at the time of writing. It’s spending perhaps beyond what even Rangers fans expected at the start of the transfer window. To put a spin on a famous cliche though, with great spending comes great responsibility. The first tangible reward for Gerrard was qualification for the UEFA Europa League and while fans are obviously celebrating that, the thing they want to see most is the theoretical gap being closed on Celtic. A win would surely provide the Gers with the spark they need to launch a sustained title bid. Flip the coin though and a loss would be the latest critical mental blow to the club in their desire to win major honours. Demanding a win against Celtic is of course silly but a good performance is required at Celtic Park to sustain the momentum that Steven Gerrard has been building. He needs to have something to hang onto to demonstrate that the fight will be brought to the Hoops across 2018/19. 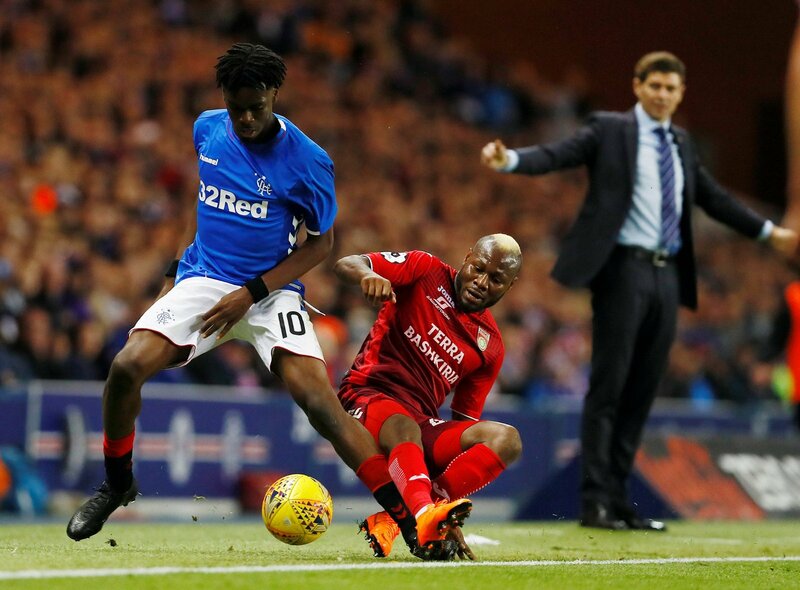 Can the Rangers boss inspire his side and show that again, in this new phase of his footballing career, the concept of second best does not enter into his thinking?